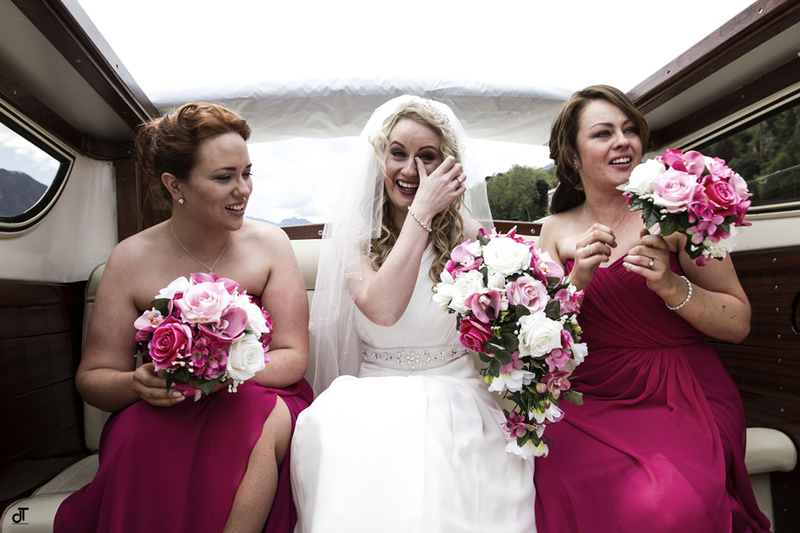 Susan chose white, pink an fuchsia for her floral decorations made with Aqua roses and pink Lysiathus. 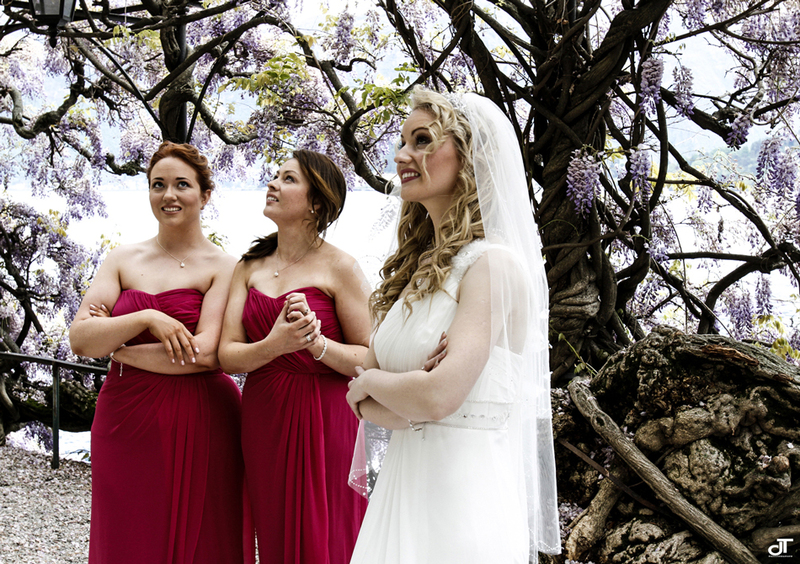 Lovely bridesmaids wore in fuchsia too perfectly matching Susan’s color scheme. 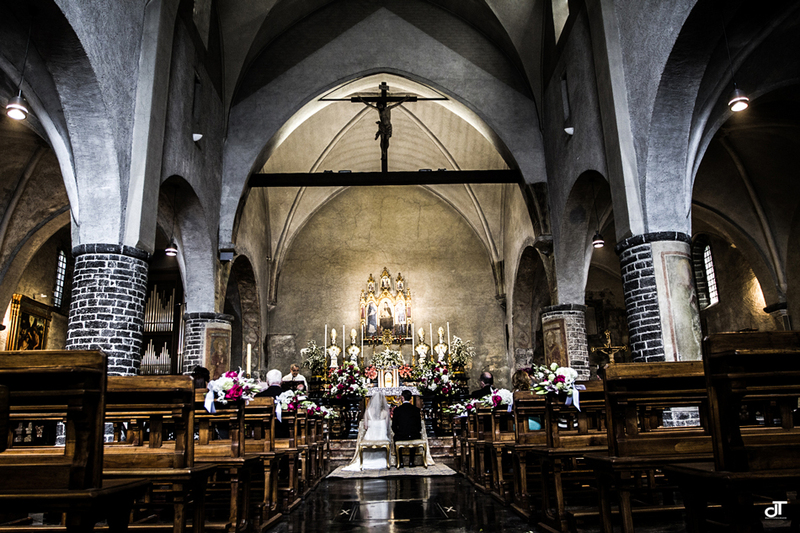 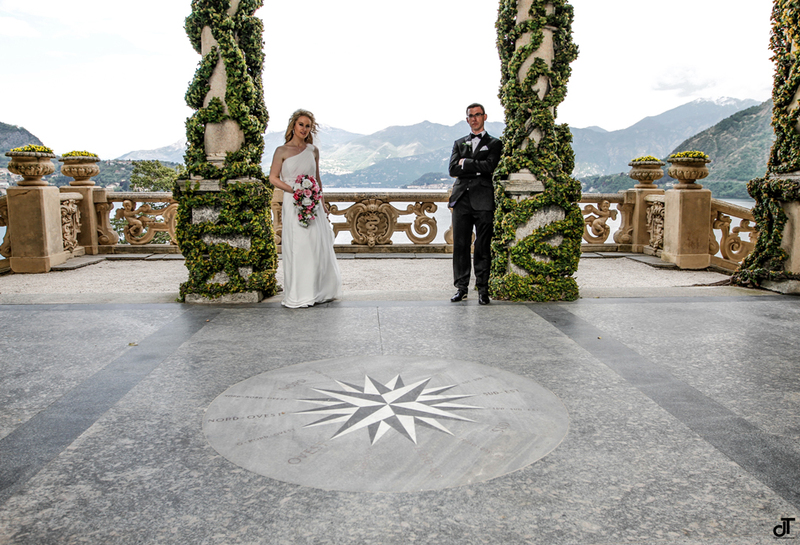 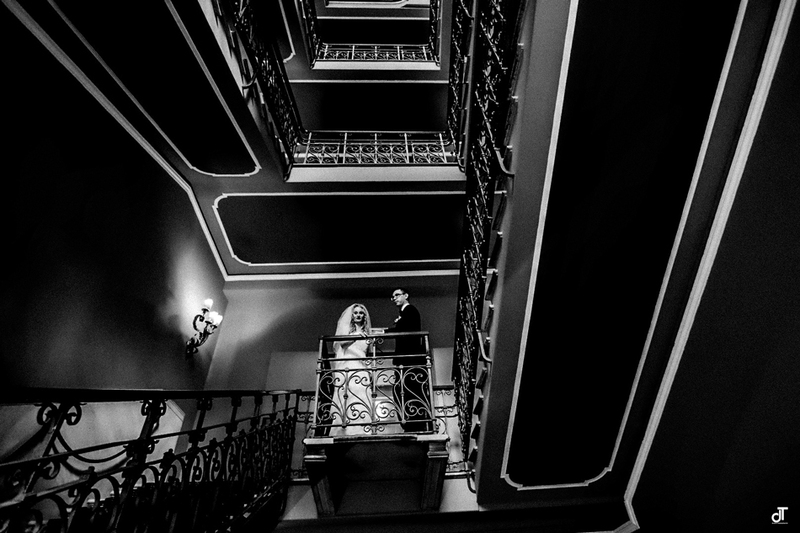 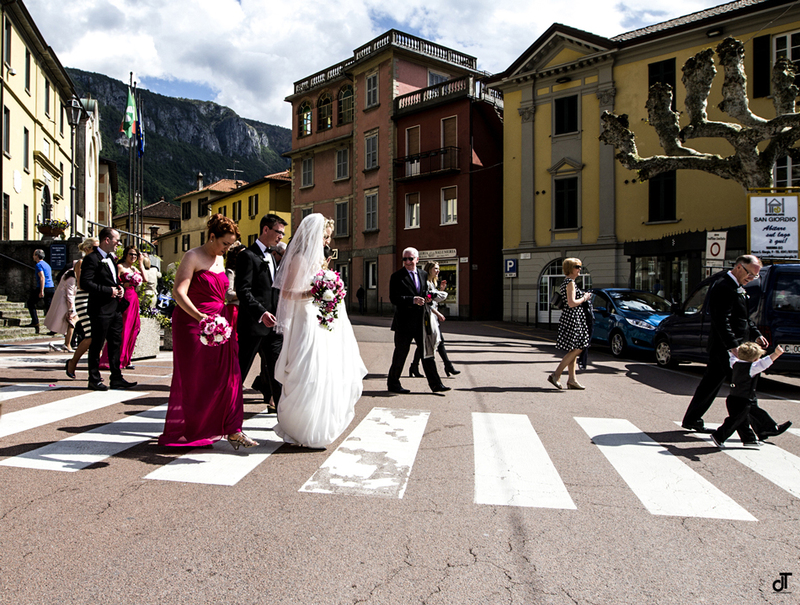 After the ceremony bride and groom took some time for their own to reach Villa del Balbianello for some magic shots. 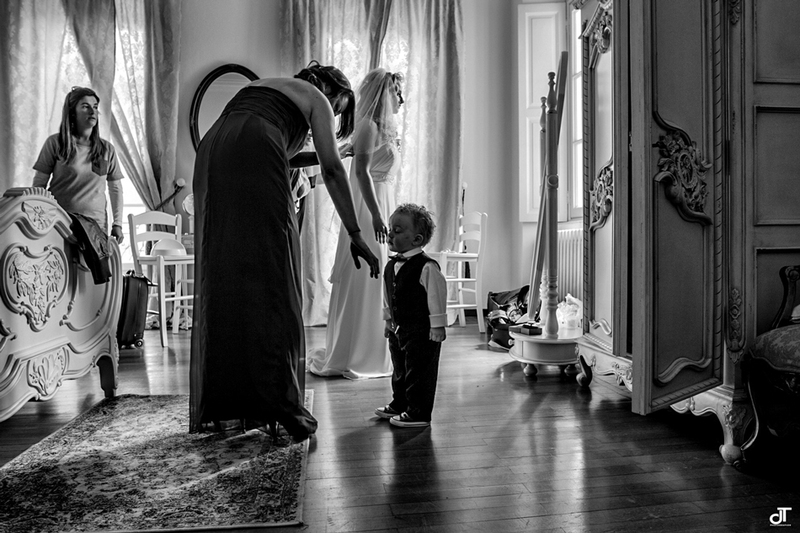 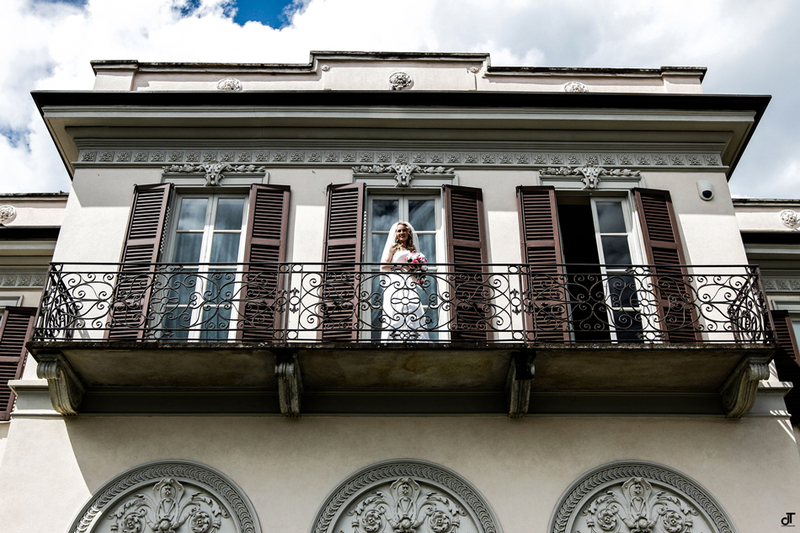 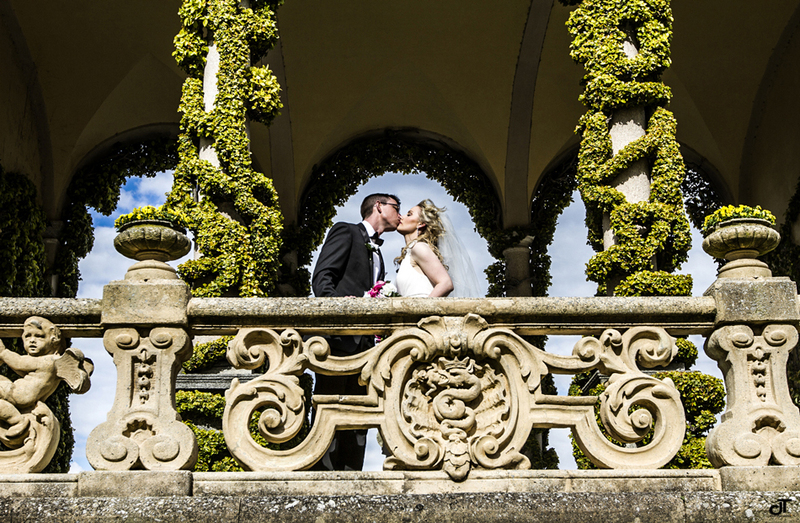 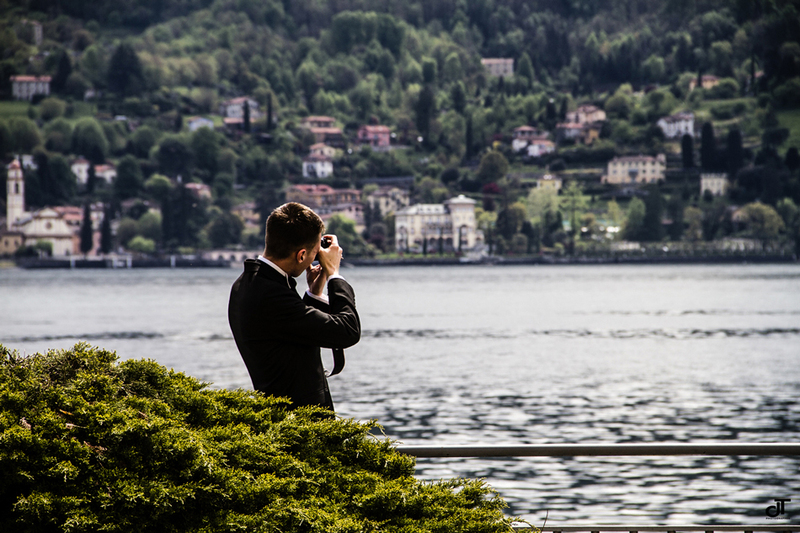 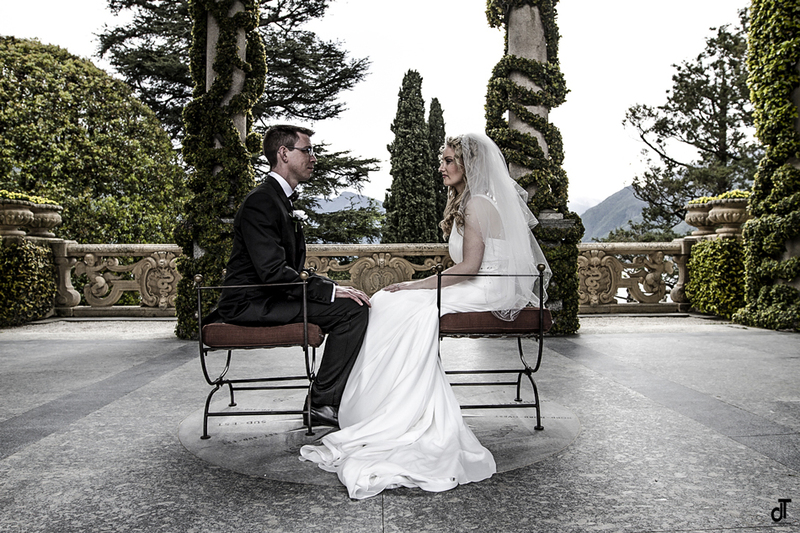 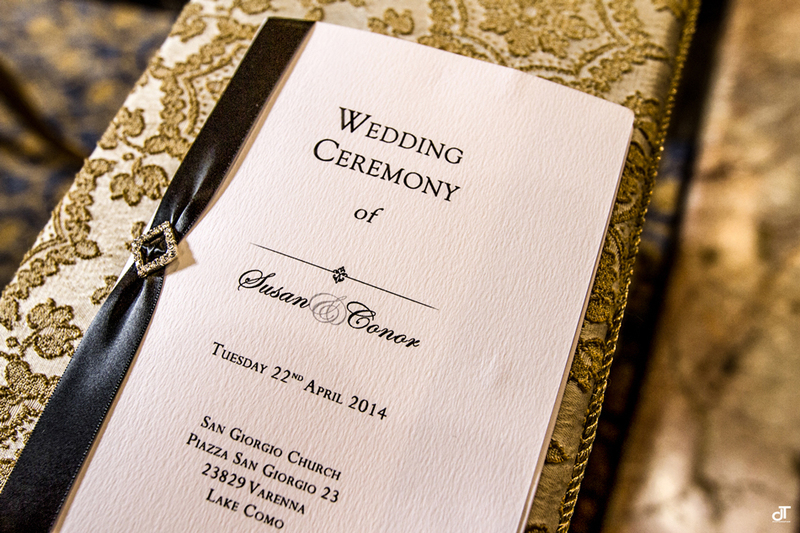 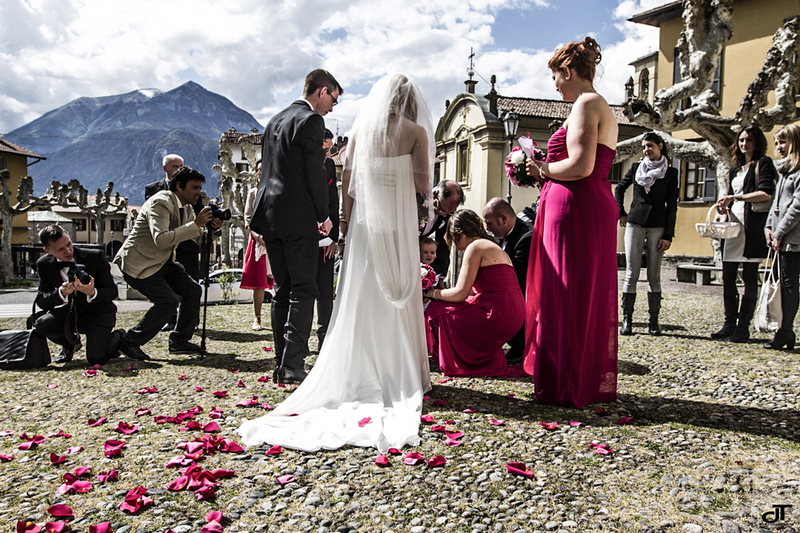 Villa del Balbianello is always a great scenario for wedding photos! 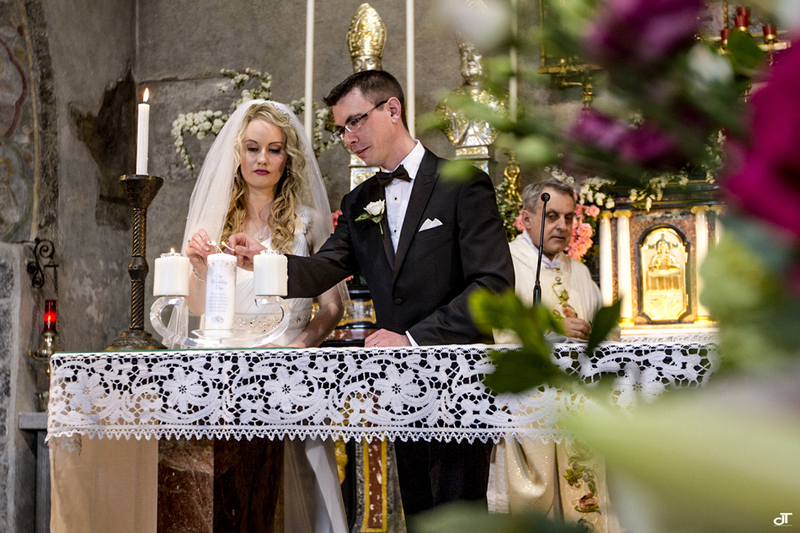 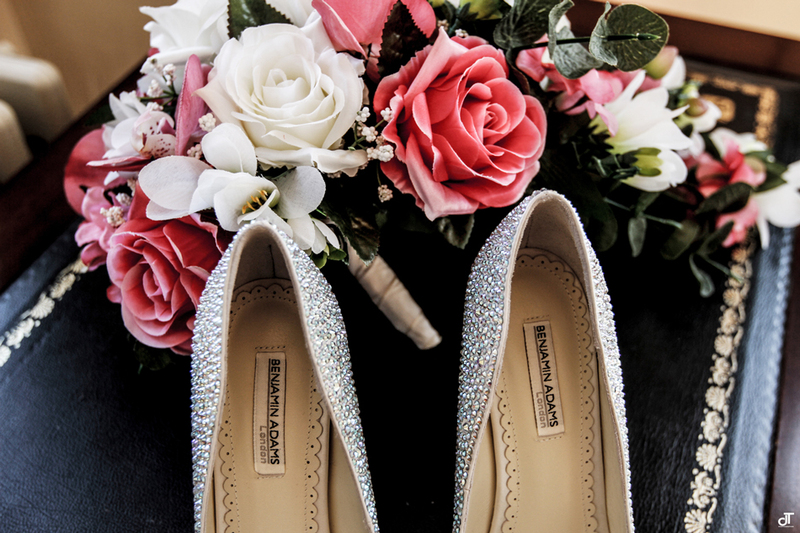 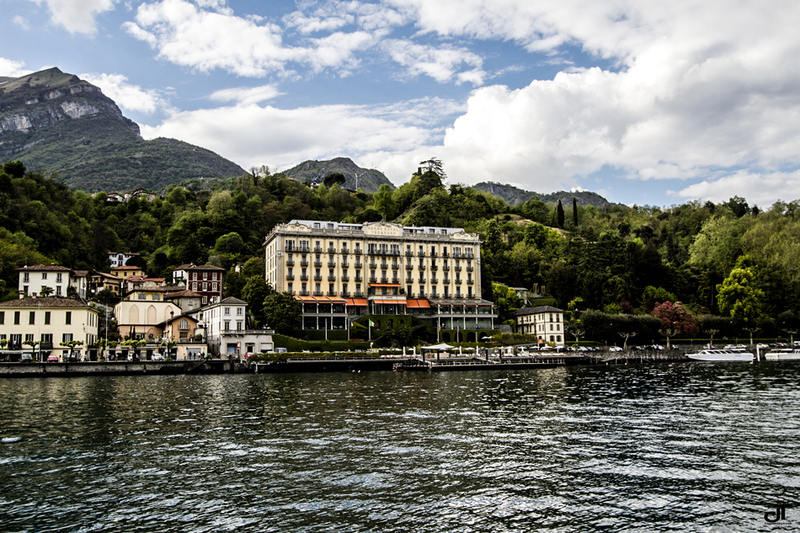 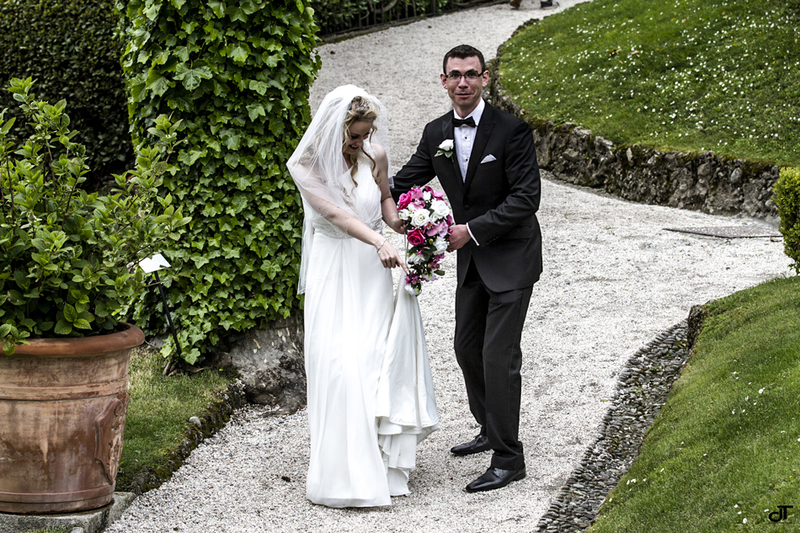 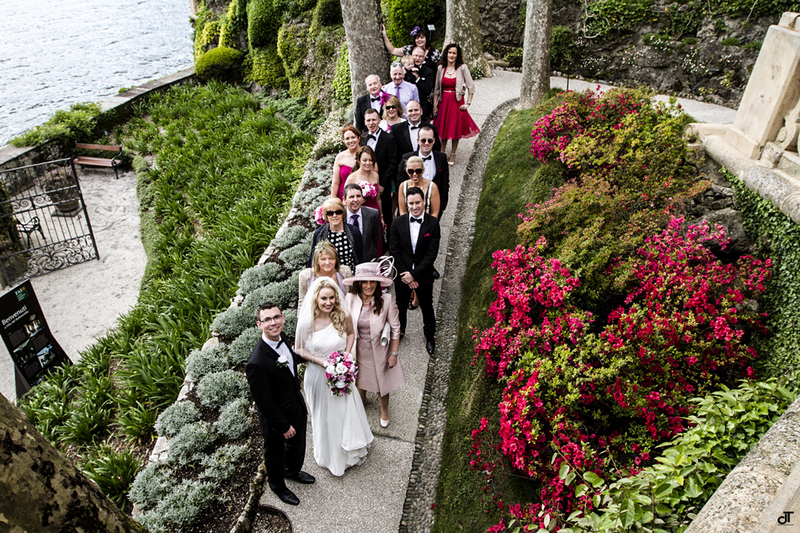 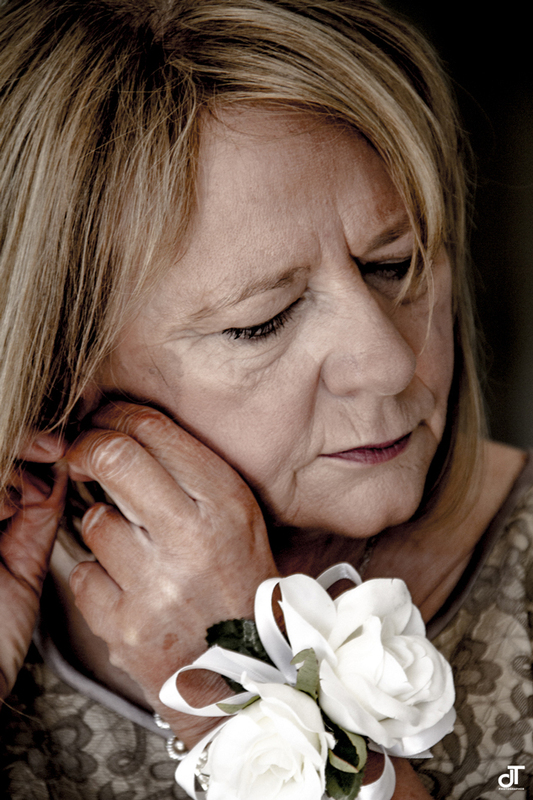 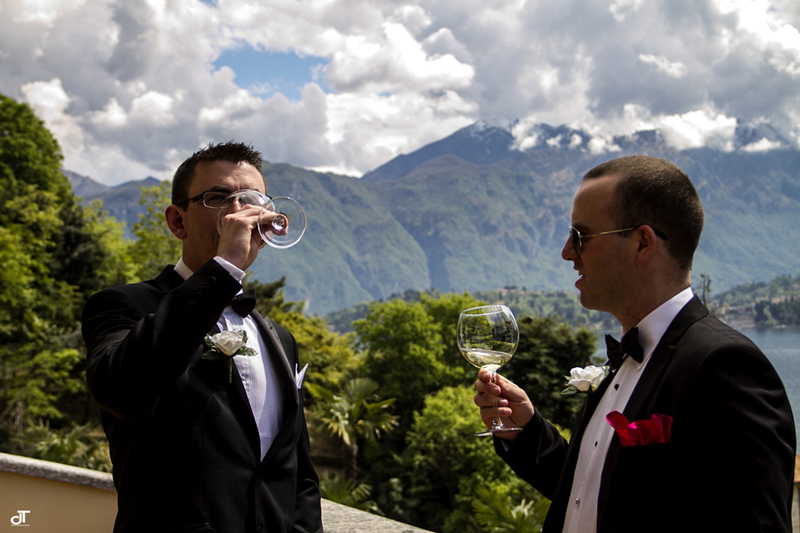 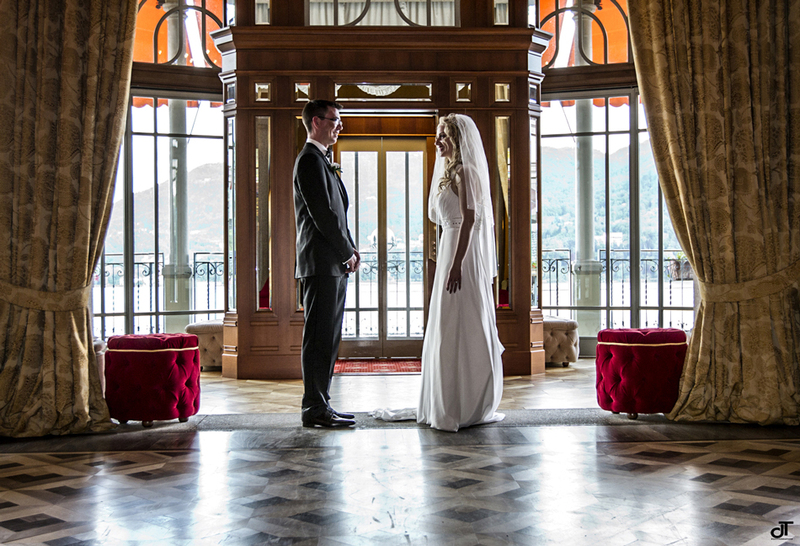 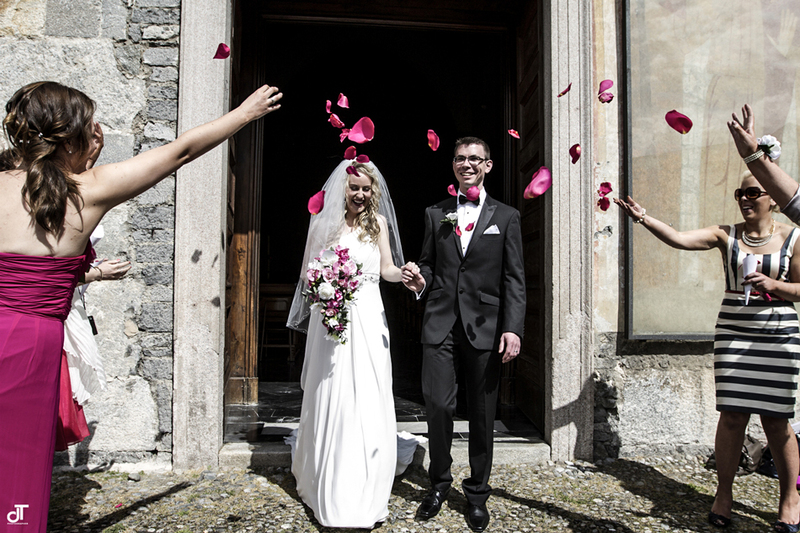 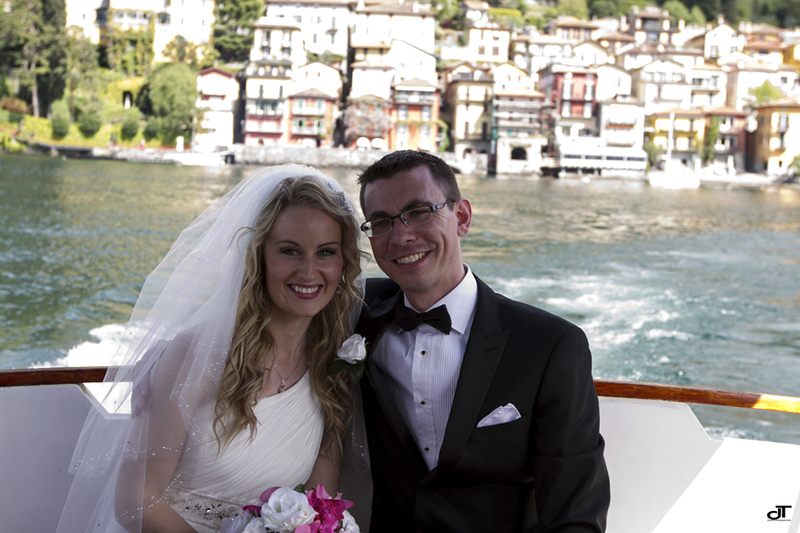 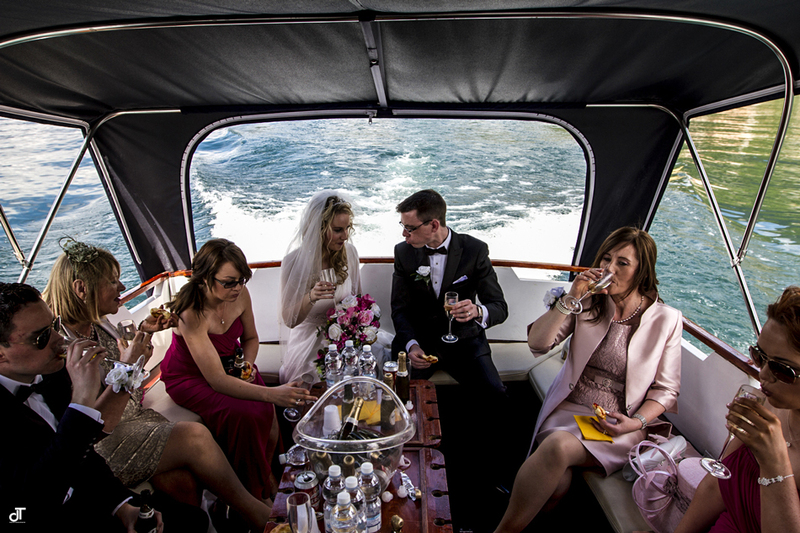 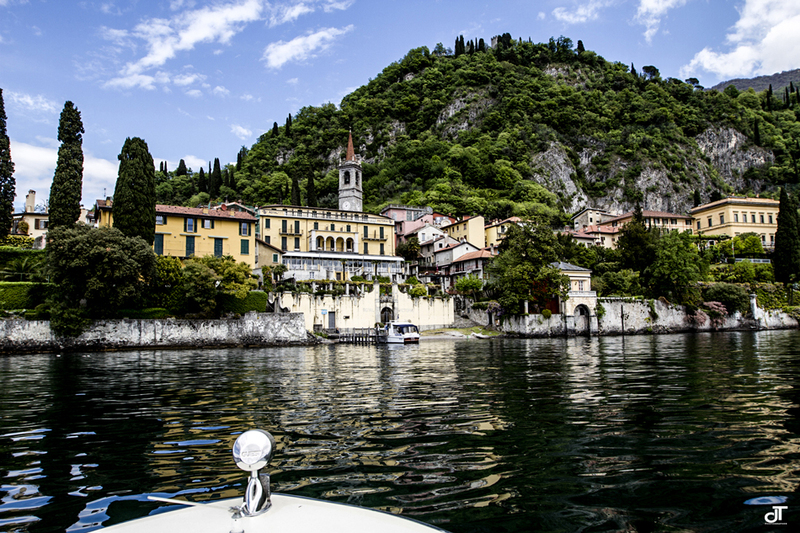 For their intimate reception Susan and Conor have chosen the exclusive Grand Hotel Tremezzo overlooking the lake spending a great time with their close family and friends.